Roomy sleeping dormitories for a more confortable stay. 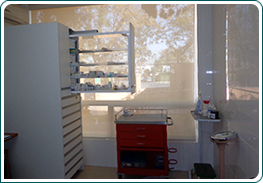 Some of our units have enough space to seat family visitors. 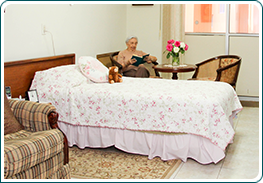 We have a limited availability of double suites, which allow the residents to be accompanied by their loved ones. They are equipped with two double beds. 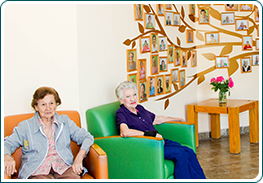 We manage a nursing staff on site 24/7 which provides a more personalized service to our residents. 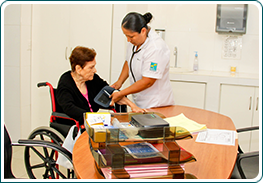 Our nursing staff rely on the supervision of our on site doctor that performs minor medical procedures in a very well equipped health care facility with separate medical stations. 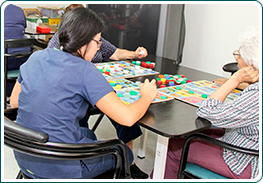 One of the most popular place in our facility is our game room where our residents may enjoy occupational therapy, and multiple games with their friends. We are pround of our beautiful garden with two majestic palapas for those big celebrations, birthdays, and family reunions. 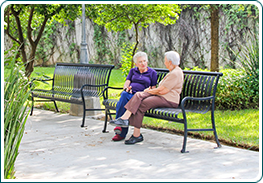 Plenty of smooth sidewalks provide an excellent way for our residents to exercise in a very secured way within our grounds. Our dining room is very accessible with plenty of space for breakfast, lunch and dinner. 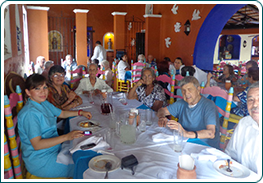 Families of residents visiting are welcome to join in their meal. 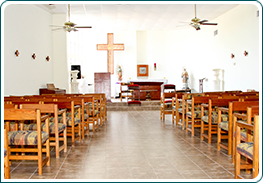 The chapel located strategically next to our main entrance provides our residents with a Sunday mass celebration, in which visitors are always welcome. 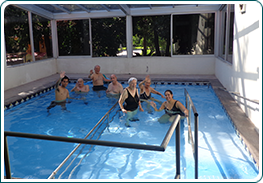 Our always supervised pool is a great place for specialized hydrotherapy sessions. 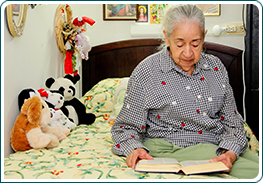 We carry all the basic needs, from first aid essentials to all the personal items that our residents might require. 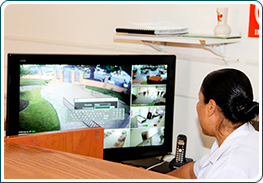 All activity and emergencies are closely monitored through several staff members, which keep a close eye on our security monitors. We keep records of all of our activities. Our residents socialize with friends and visitors in a large living room area supplied with several TV´s, games and book with interesting topics.